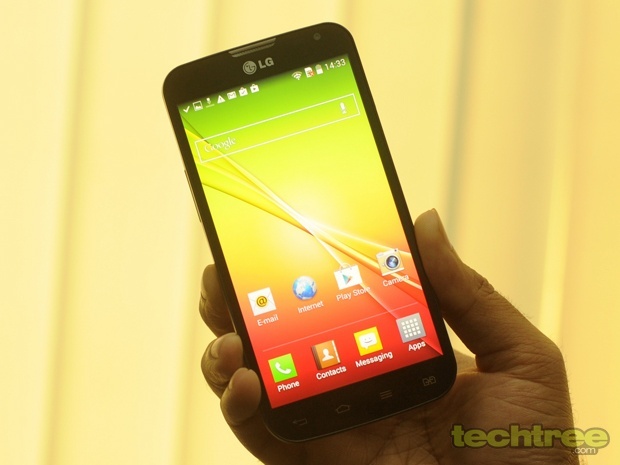 A quick look at LG's mid-range handset that ships with Android Kitkat. LG’s mid-range Android smartphone has landed in our office. 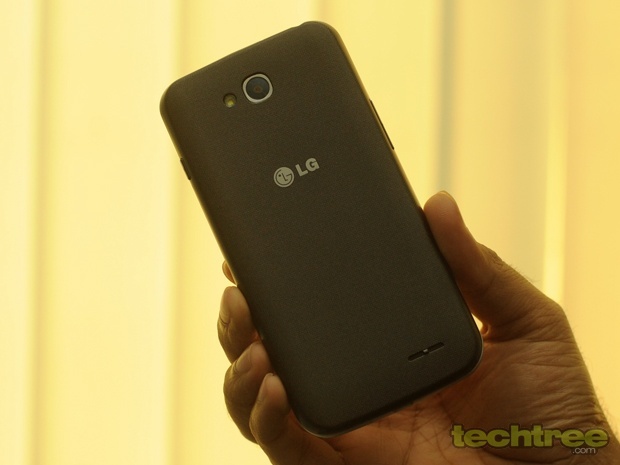 This phone belongs to LG’s third wave of devices from L-series. What we liked here is that the Korean giant has decided to go with a not-so-big 4.7-inch screen. Because of this the handset fits well in your palm. The handset looks exactly like the Optimus L7 II Dual that was launched last year. The key layout on the L90 looks a bit off since LG has added a dedicated SIM switch key to the standard set of Android keys. The phone is lighter than the Moto G, but doesn’t feel solid like Motorola’s offering. The textured back-panel may not be aesthetically appealing, but it does help with the grip. The phone is powered by the Snapdragon 400 quad-core chipset found in Moto G. Another similarity with Motorola’s budget hit is that the L90 runs Android 4.4 Kitkat. There are certain differences though. The L90 comes with a relatively better 8 megapixel camera, but lacks the HD screen found on the Moto G. To be precise, the 4.7-inch display packs in 960 x 540 pixels. Despite being an IPS panel, the screen looks washed out. 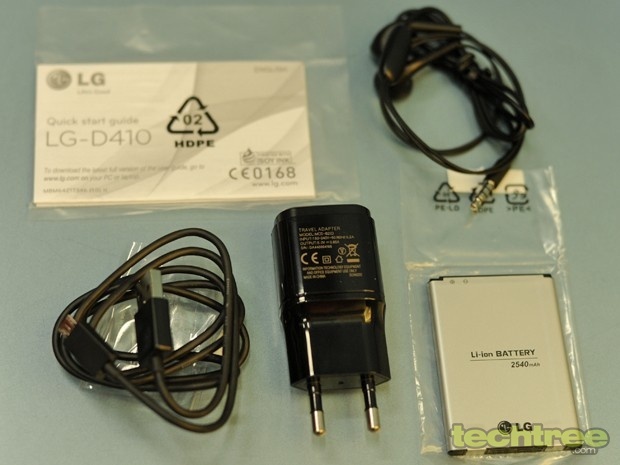 Similar to its high-end sibling G2, the L90 packs in an IR (infra-red) port. This means you can use this phone as a remote for TV, music systems, and AC. The phone comes with the latest Android 4.4 KitKat. With LG’s customisation though, it looks nothing like what you’ve seen on the Moto G. One of the highlights of this phone is LG’s Knockcode allows you to wake and unlock the screen with a tap pattern. It’s a good concept, but in this stage I think it’s more of a hit-and-miss affair. Thanks to the 1 GB RAM and 1.2 GHz quad-core processor, the user experience is quite smooth. We haven’t fully tested the device yet, but till now the casual games are working fine. To gauge the performance, we ran a couple of synthetic benchmarks and here are the results.